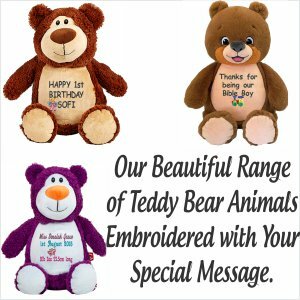 Personalised Message Bears will make your message shine. 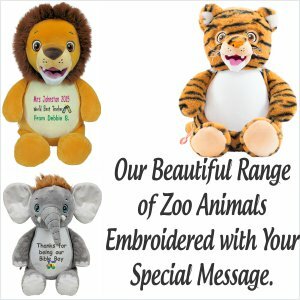 Have you ever wanted to send a message to someone hoping that it would stay with them forever? 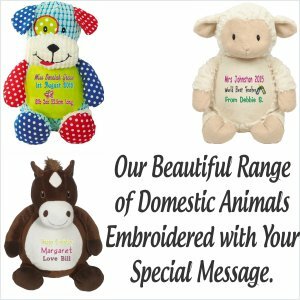 We have the ideal way of doing it. 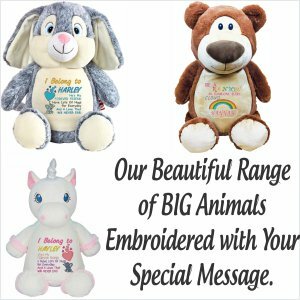 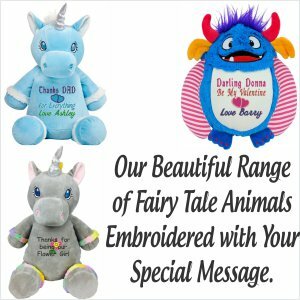 Our Message Bears can be personlised with your message and a motif on the front, and even a message on the back. 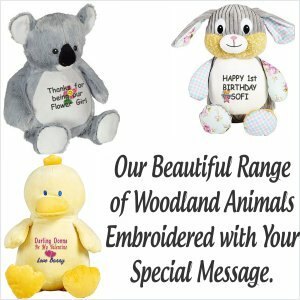 Say how much you love them, record their birthday, say thanks for a job well done or any other message that you wish to convey with a special Personalised Message Bear.